The tribal administration was created to oversee all aspects of the Nation and to ensure that each person in the community is considered and heard. The administration keeps the Prairie Band Potawatomi Nation running smoothly and is completely compliant with the Federal Government. 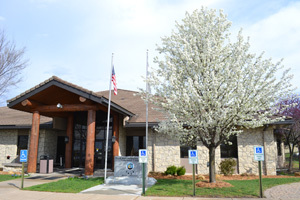 This office serves as the liaison between the Tribal Council and the program directors, primarily to assist directors in making proposals and responses to the Council. The General Manager has supervisory responsibility over all program directors, managers and coordinators and assists with program development, resolution of issues and coordination of multi-program activities. The General Manager also coordinates and develops program budgets with the directors and works cooperatively with the fiscal and accounting department.